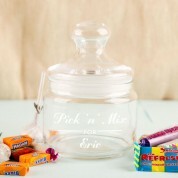 A unique gift idea for a sweetie in your life! 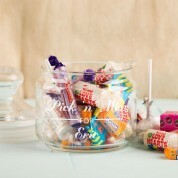 Our vintage style sweet jar will go down a treat with both old and young friends celebrating a Birthday or other special occasion. 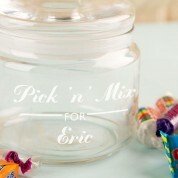 We laser engrave the jar in house with a name and their favourite sweetie. 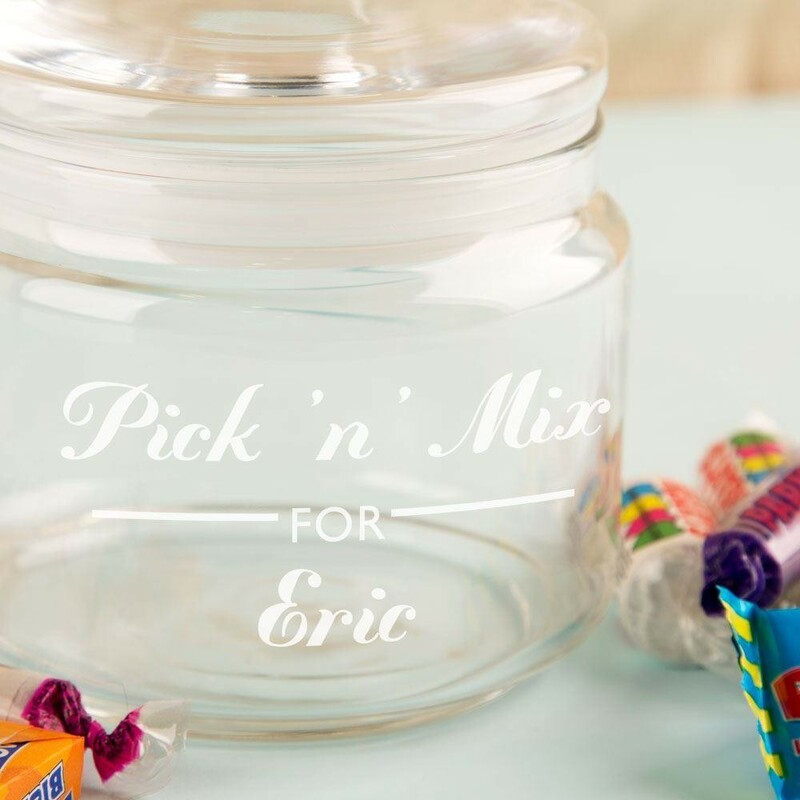 It makes a timeless gift that can be enjoyed for years, and the quirky glass jar will come in handy long after the sweets have been eaten!